← The milkman’s vehicle of choice? A dugout canoe! 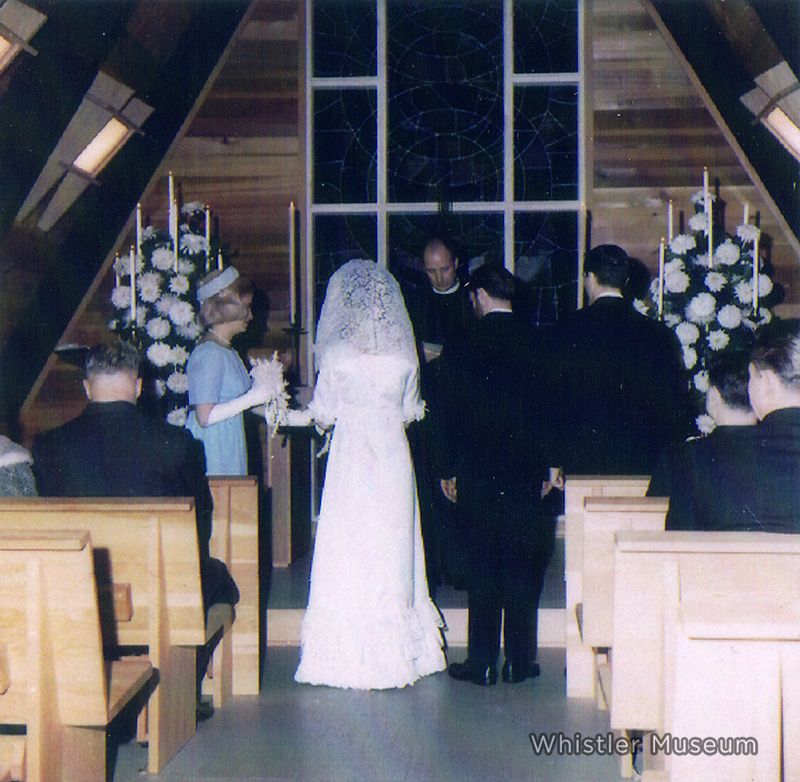 Tony and Irene Lyttle getting married in the Skiers’ Chapel, January 1967. In fact, the Lyttles may have been the first couple married in Whistler. It certainly wasn’t easy. Tony wasn’t even in the country at that point — he was working for the Aspen Ski Corporation at the time. Also, everything had to be brought up from Vancouver – a treacherous 2.5-hour drive in the best weather. The challenge was how to get all the guests up to Whistler in January. Some guests travelled all the way from Nanaimo to attend the wedding. One of Irene’s friends was only two weeks away from delivering a baby and still managed to make the trip. Tony himself brought the priest up to Whistler in a sports car during a snowstorm! 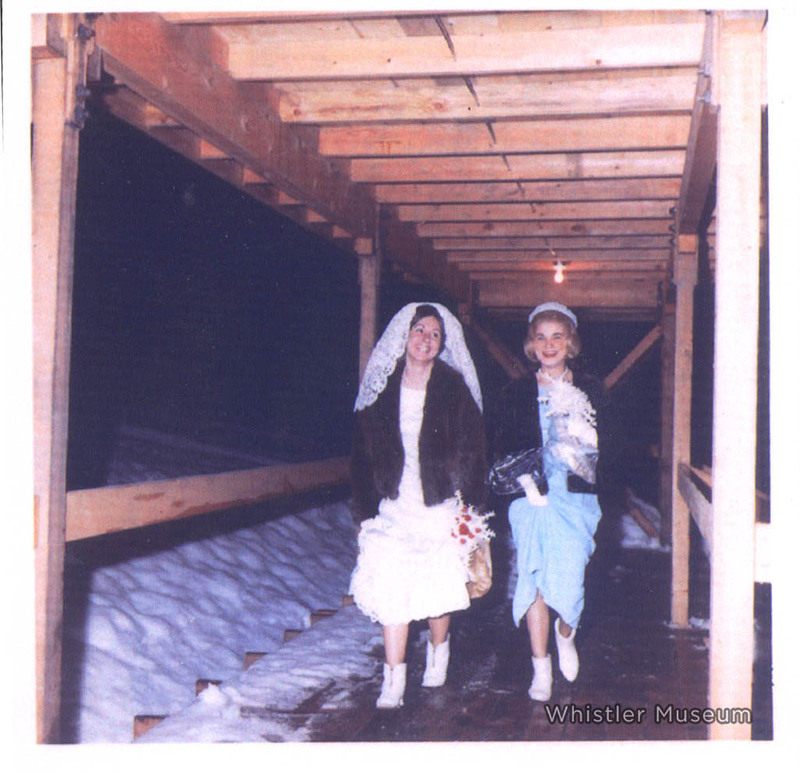 Irene Lyttle on her way to the wedding alter, January 1967. While all their friends joked that Irene would wear ski pants to the wedding she was determined to wear a white wedding dress. However, one of the wedding ushers placed her white mid-calf ski boots in the aisle. As the now married couple prepared to make their exit, Irene stopped, pulled up her skirt, removed her fancy white satin heels and, like the Whistler version of Cinderella, placed her newly married feet into the ski boots. She then proudly left the chapel with her patroller prince. 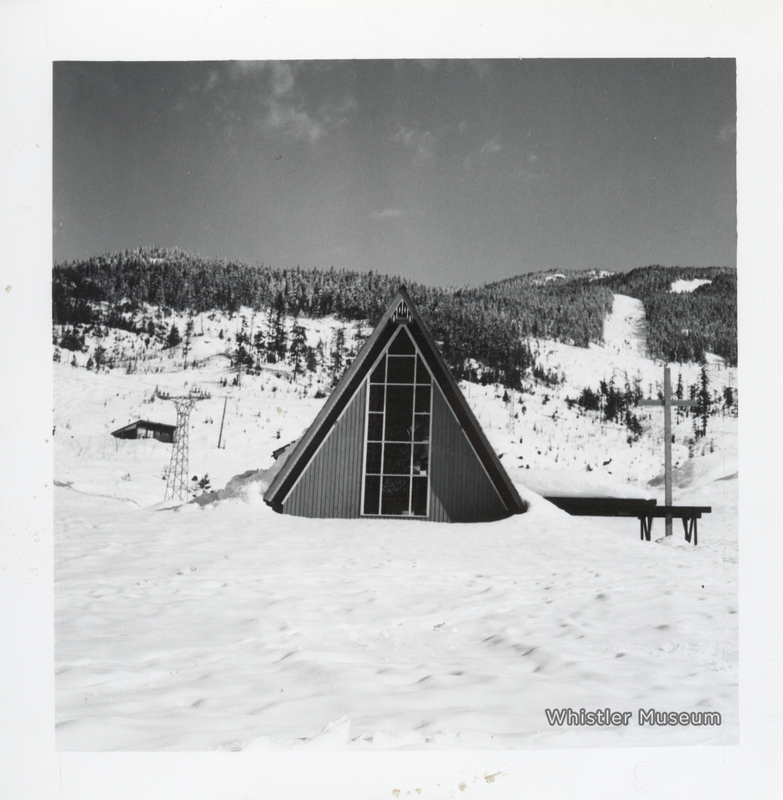 Wow – a wedding on the mountain and a bride wearing ski boots. Maybe there’s hope for romance after all. This entry was posted in Beyond Skiing, Characters, Whistler Blackcomb. Bookmark the permalink.